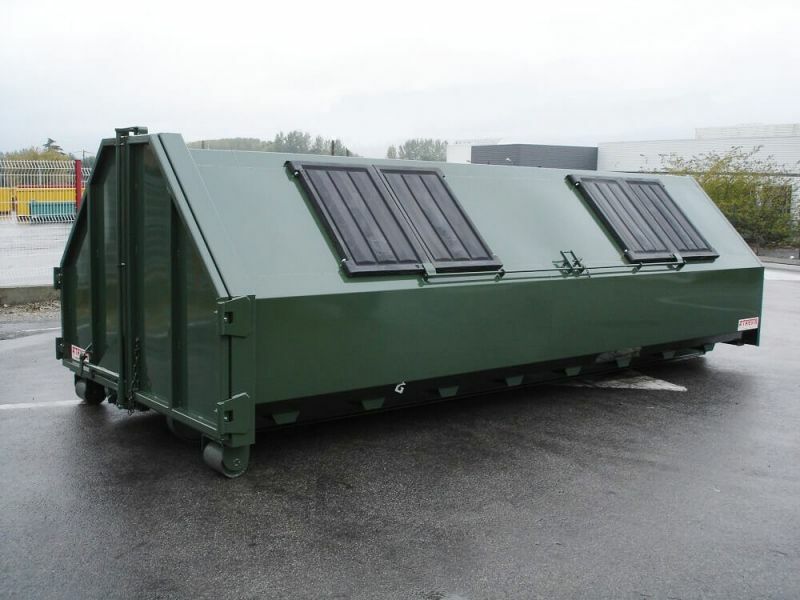 This type of boxes and dumpsters multi-lift proposed by society THIEVIN' is intended for the storage of garbage and waste of low density (household waste, cardboard, paper). 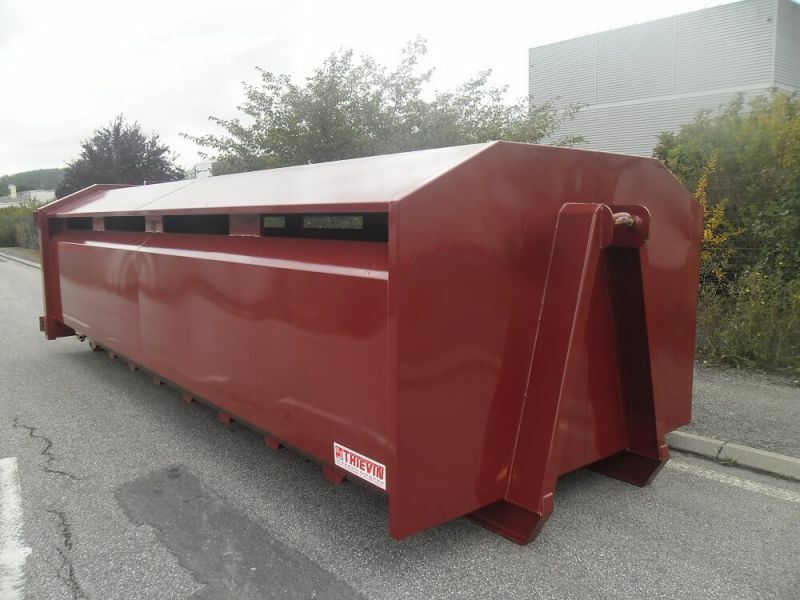 It mainly consists of a sloped roof provided with openings closed by two or three plastic covers, with a centralized and padlockable closure system by side. You have the option of putting up walls inside the box. 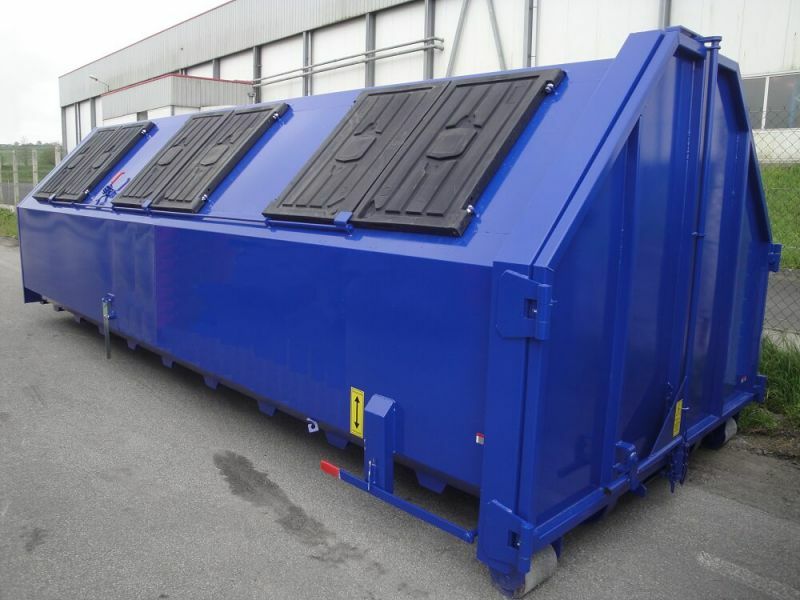 This box or bucket small volume of our OM (household refuse) range, equipped with 2 openings by hand, is suitable for the collection of DIB, paper, cardboard. 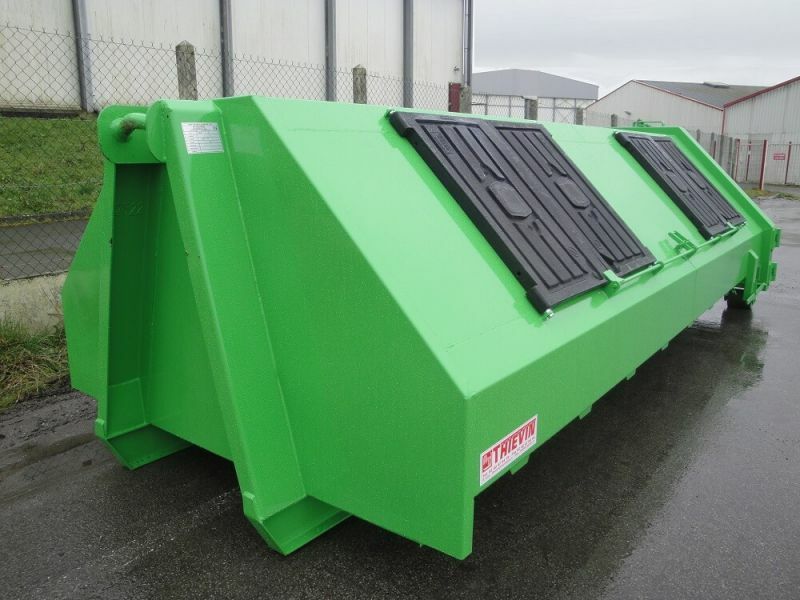 This subwoofer or dumpster OM is suitable for the collection of the DIB, paper, cardboard. 3 vertical openings by side and the possibility of adding 2 internal partitions with lateral release offer a wide range of use at your service. 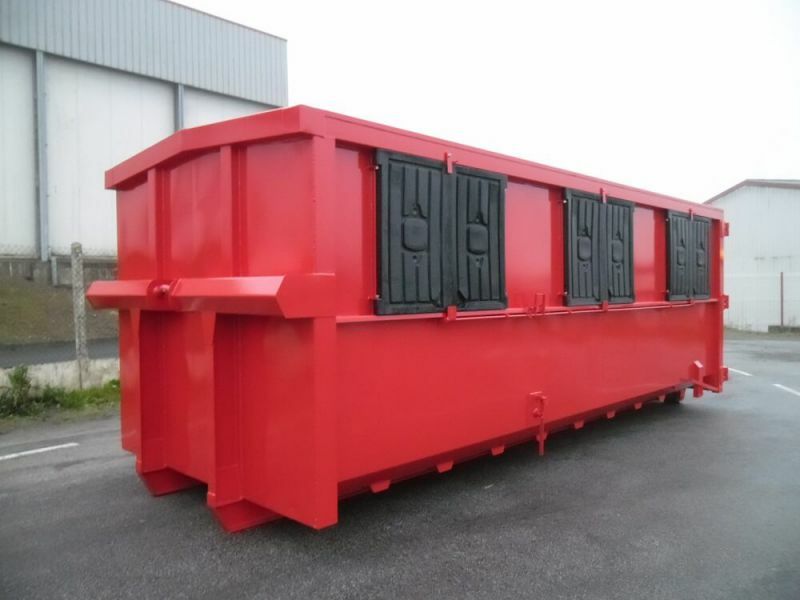 This box or bucket type OM with a volume of 20 m³ is intended for collection of paper and cardboard. 4 120 x 1100 mm of each side openings allow excellent fill this box including forcing putting flat boxes.